Curtis ends his flirtations with Windows Phone, phone insurance is a scam, and Google thinks you want to shout at your devices all day. Spec Sheet listeners gather for the 7th annual Spec Sheet Celebration Day gathering, enjoying their free Tater Tots and Gatorade. 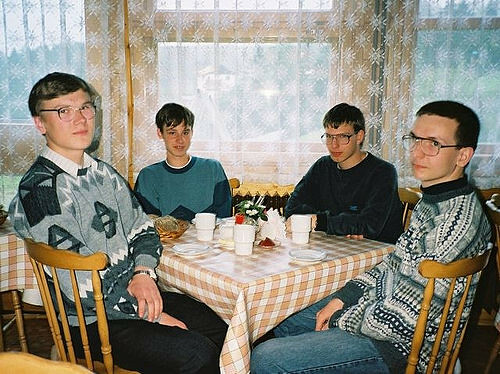 From left to right: Rob, Lou, Gene, Sven. On this episode of the Internet’s premiere technology podcast, we have a conversation with paranormal podcaster and author Jim Harold. Special thanks to ArtBell.com for streaming tonight’s show live. You can access the podcast feed here.